This level has medium difficulty. For this level try to play more from bottom part of the board to shuffle the candies and make special candy as you get the chance. 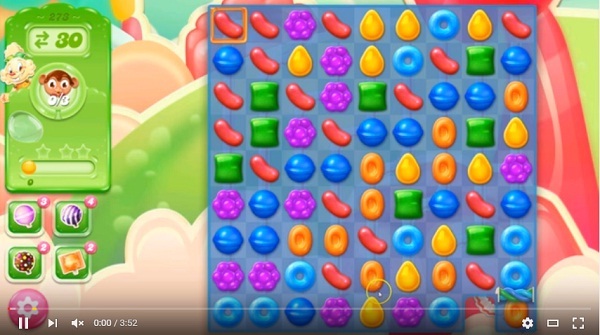 Combine them with each other to shuffle more candies and orange candies could break under orange border that could help to collect the Monklings. I keep getting lots of monklinns , they go down but they don’t count on the 3 I need to collect. What is wrong? I keep getting monk pins and they go down to but it is not being counted. I feel like I’m not doing right. Is something wrong? My monklings are falling but not being counted. Is something wrong with the game? Everyone has left the same message that your monklings ARE NOT adding up. CLUE: If u look closer at the board. (In the farest-right-colum, at the very-botton-corner box. There îs a green and blue rope over that very last Box. That is the only one box you need to get only 3 of your monklings through. And that box only….. See it……………. I don’t have the rope! !